Hotel De L' Annapurna's central location and proximity to the airport and the Narayanhiti provides convenience and comfort for both leisure and business travelers. A five star establishment, this hotel provides a haven of relaxation amidst the city's exhilarating cultural delights. 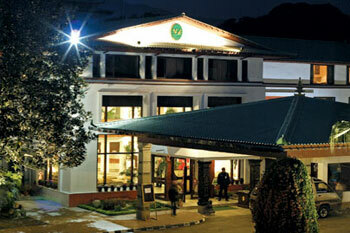 The atmosphere is warm and relaxed and the ambience attuned to Nepalese culture. The hotel's accommodation includes suites, deluxe rooms and superior rooms with modern amenities. The rooms are tastefully decorated and well equipped with guest amenities like international direct dial facility, wireless internet connectivity, mini bar, personal safe, channel music and color television with satellite programs, safe deposit boxes and marvelous views. Annapurna houses four generously appointed suites, each adorned with original paintings and period furniture to transport guests into a world of regal luxury and grandeur. Guests can choose from Executive Suites and Deluxe Suites. The Deluxe Suite has been home to many Heads of State, Celebrities and CEOs. The suites feature a grand living room, a dining room and a master bedroom. Opulent old-world design including precious original paintings and antiques, artwork and antiques that recreate old world charm with a blend of modern amenities and gracious personalized service. Temptations for any appetite. Savour our chefs' imaginative artwork, with the freshness and regional flavour of local ingredients. Always accented by settings designed to inspire – and enhanced by attentive yet unobtrusive service. That's why Annapurna ’s cuisine transcends traditional hotel dining; be it our children's menus or around the clock In-Room Dining. And we always do our best to satisfy those special midnight cravings. For those with more of an energetic disposition we've an excellent swimming pool available for the exclusive use of our guests. You can take advantage of the calm setting and eloquently landscaped garden surrounding our outdoor pool. Of course you don't have to exercise too hard, our swimming pool can be the best form of relaxation after a hard day sightseeing. The pool invites you to enjoy a refreshing swim or simply unwind with the personal poolside dining service. Access is seasonal. Enjoy the freedom of staying connected with high-speed Internet access where you need it most. Tastefully appointed and well equipped with guest amenities like international direct dial facility, wireless Internet connectivity, mini bar, personal safe, channel music and colour television with satellite programmes, safe deposit boxes and views that overlook the pool. Bright, airy, and stunning – a refreshing mix of style and comfort, these unit offer spacious comfort with a living room, bedroom and attached dressing area. Guests will enjoy stunning views overlooking the city. 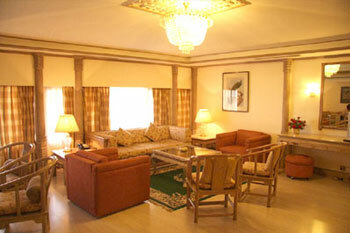 The Deluxe Suite has been home to many Heads of State, Celebrities and CEOs. The suites feature a grand living room, a dinning room and a master bedroom. Opulent old-world design including precious original paintings and antiques, artwork and antiques that recreate old world charm with a blend of modern amenities and gracious personalized service. A home away from home. A private residence to call your own for your stay. Blend pampering and convenience when travelling with family or friends on vacation. Secluded by exclusive views to garden – or a view of the soothing swimming pool, Regency Suite is a true vacation home away from home, complete with gourmet kitchen and laundry facilities. Yet, it places the services and amenities of Annapurna at your fingertips – leaving you free to choose how to make the most of each day. True to the name, your stay at this particular suite will leave you feeling regal.